Switchgear engineer (FSE) Cardiff, Bristol or M4 corridor ideal locations. £30000-£36000 + van fuel card, Excellent Pension, Private health,35 days holiday, bonus, OT at time and half and double pay, plenty of training and progression. Calling all Switchgear fitters and field service engineers have you got what it takes to work alongside an expertly trained and close knit team providing an industry leading service to Europe's biggest and most advanced datacentres? Cardiff, Bristol or M4 corridor ideal locations. £30000-£36000 + van fuel card, Excellent Pension, Private health, industry leading holiday entitlement, bonus, OT at time and half and double pay, plenty of training and progression. Calling all Switchgear fitters and field service engineers. Would you like the opportunity work on Europe's biggest and most advanced datacentres? Have you got what it takes to work alongside an expertly trained and close knit team providing an industry leading service? If you get on well with people and have installed and maintained switchgear apply to the role and I will be in touch to give you some more detail. This is a home based field service role but the majority of your time is likely to be spent at a state of the art facility which provides big data and cloud services to some of the world's most reputable companies. The team supports the centres switchgear through testing fault finding and maintenance. You will be involved in new installs including commissioning modifications and refurbishments. The lights can't go off so there is an on call rota of 1 in 6 and plenty of OT all paid at time and a half and double pay. You can significantly increase your earnings within this role so don't be put off by the basic. There are also other sites that need supporting mainly between Cardiff and Swindon and so at times you will be attending alone or supervising others, so you need to be confident in your abilities. You don't need to know everything as training and courses will be provided. If you can hit the ground running though that's even better!! You will be a natural self-starter who takes real pride in your work. You will be ambitious and keen to further develop and progress. Hopefully you will have already undertaken an apprenticeship, HNC or HND in an electrical discipline but if you haven't the experience from 415v-33KV will do fine. Datacentre experience would be great, or maybe you have industrial experience. Cold commissioning or having worked on a DNO would be well received. Either way we are keen to hear from you. You will need to enjoy meeting and spending time with customers and also mentoring junior colleagues. You're the face of the company on site and so the confidence to take ownership of a situation would be a real added bonus. Honesty and integrity and a passion to solve problems and ensure customers are reassured that you've got this, are a must. A safety first approach goes without saying. There's a good package and benefits and this is only a starting salary, so earning potential with the OT is definitely there. This is a real career move, not just a job, if you think you would fit in well apply to this role and I will be in touch. 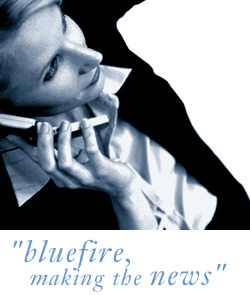 If you have any questions please send an email over to n.hindocha@bluefireconsulting.co.uk or call us on 03337720839. If this role isn't for you but you would like to recommend a friend or colleague please call or send us an email with their details. If they were successful in obtaining a role we pay up to £500 referral fees.